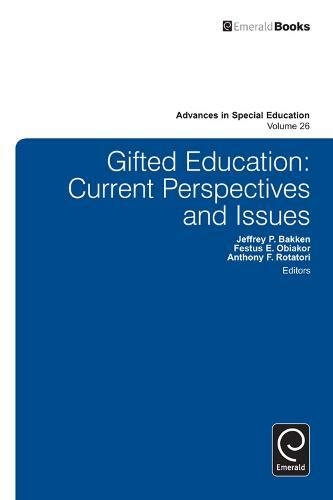 This volume addresses the most current perspectives and issues related to giftedness and is written by leaders in the field. An excellent resource for special educators, administrators, mental health clinicians, school counselors, and psychologists, this volume addresses the different educational issues that impact this population. The area of giftedness is constantly advancing as a result of legislation, new trends, and current research investigations. In addition, this area is somewhat controversial as it is often not funded under special education. The volume will allow readers to follow giftedness in a very logical and thoughtful process from theories, legal issues, identification and assessment, and placement to different populations and the impact giftedness may have on them. Also included are the topics of inclusion, differentiated instruction, effective practices, and technology. The volume concludes with chapters that address post-secondary education and families.